"The latest generation of the popular Philips X-treme Vision range offers up to 130% more light on the road in comparison to a standard globe so you'll be able to see much more of the road ahead. 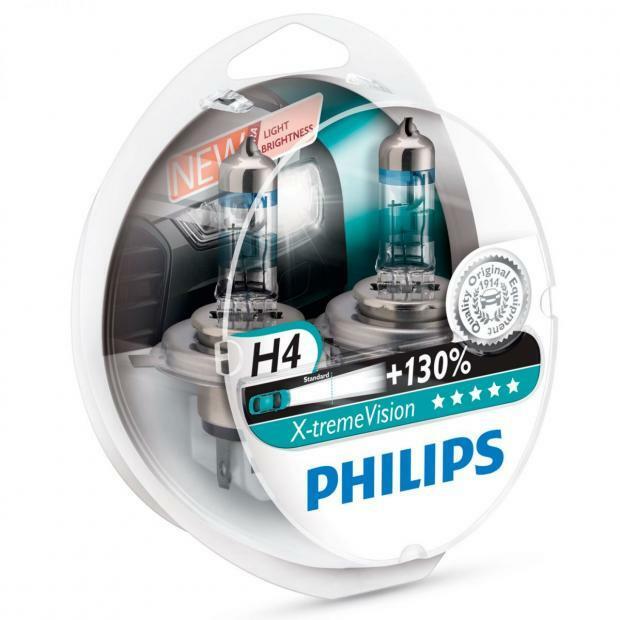 If you decide to upgrade your headlight globes to Philips X-treme Vision +130 you will also benefit from a longer light beam, up to 45 metres longer to be precise, and this in turn increases your reaction time. In addition, the light produced by these headlight globes is up to 20% whiter than standard. Both factors lend themselves towards providing a safer and much more comfortable driving experience at night. High precision coating and high quality UV-Quarz glass"
This product is sold in a pack of 2 bulbs. The standard unit for color temperature is Kelvin (K). Brightness is measured in lumen. Standard halogen bulbs produce yellow light at 3200K. Xenon HID technology produces white light at 4200K. The color temperature for bluish white light is 5000K. 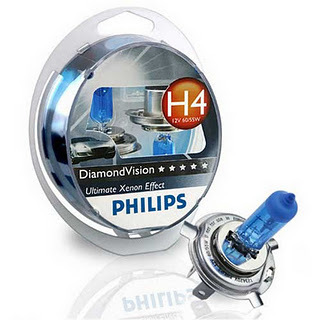 The color and brightness of the headlights in the visual is not an actual representation of Philips headlights. Are they legal to use and do I need to modify my vehicle? Diamond Vision can be used without making any changes or modifications to your vehicle. They just need to be exchanged with the bulbs that you are currently using. This product is not road legal within EU". All Philips trademarks & copyright material belongs to Philips. The manufacturer of Philips Bulbs. All trademarks & copyright material belongs to Philips. The manufacturer of Philips Products.